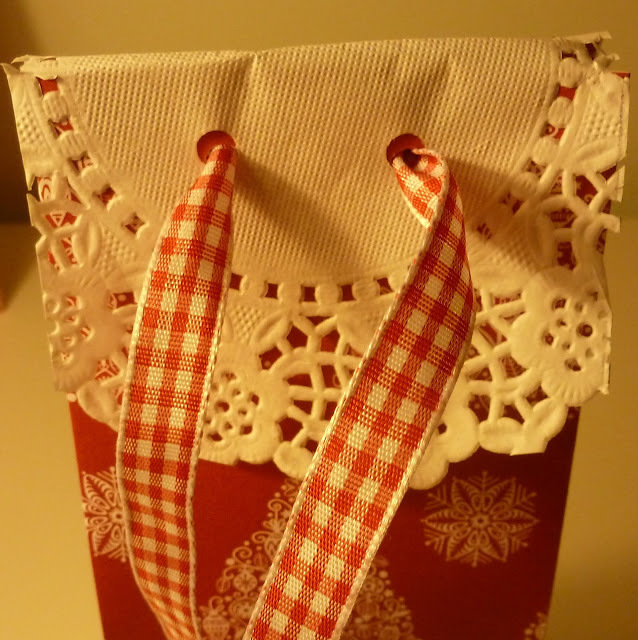 We are hosting loads of family on Boxing Day and all good parties end with goodie bags being given out - don't they? 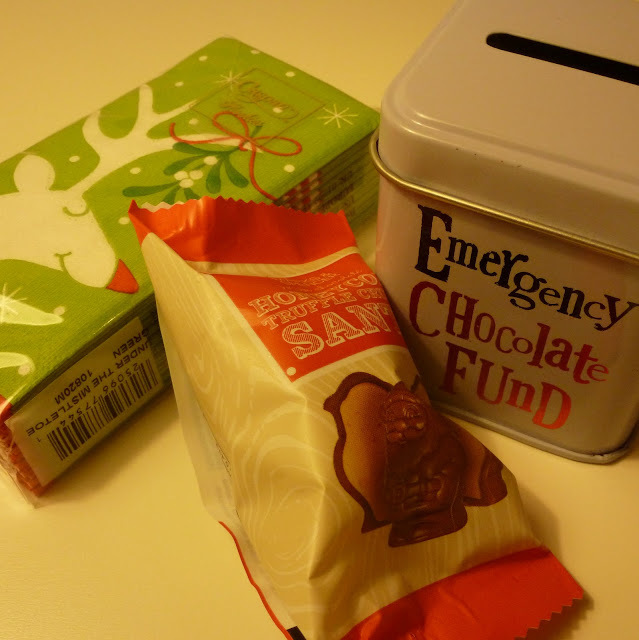 I love gathering little gifts and sweets and making them into packages you want to peek into. 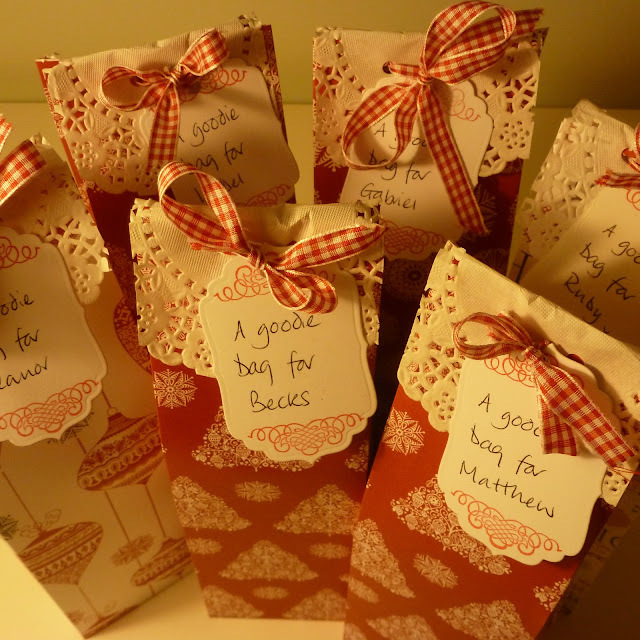 There will be several children and a couple of teenagers so goodie bags have been prepared! 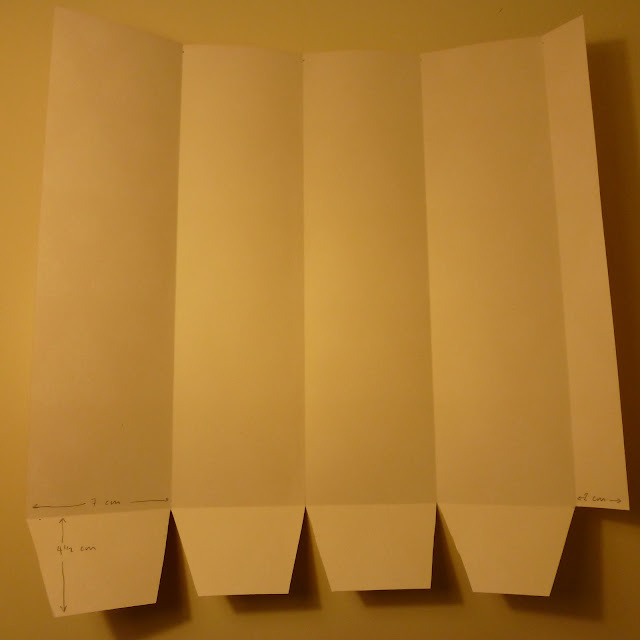 First, to make your bag take a sheet of paper 12 x 12 inches. 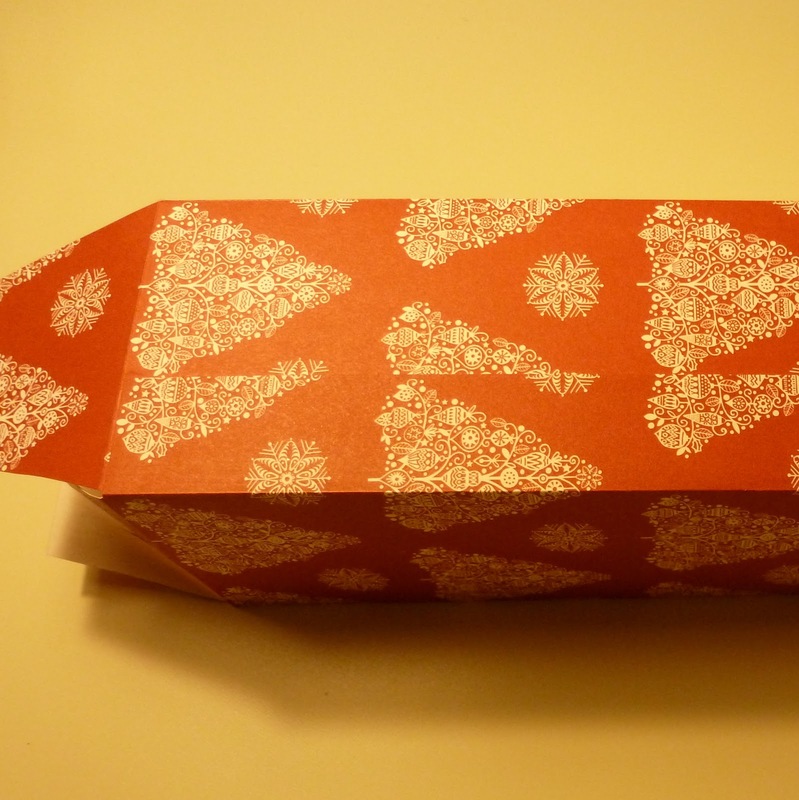 For this make I used a fantastic thick paper from Docrafts Papermania Home for Christmas range. 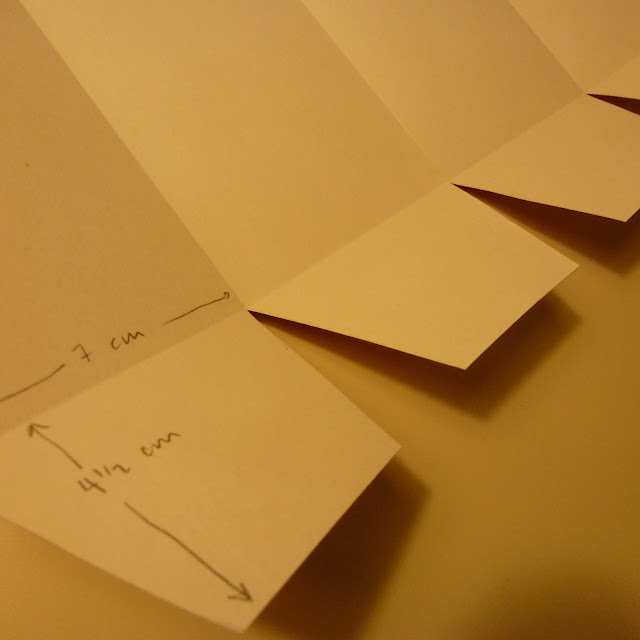 Then fold in the base sections and glue onto each other. Turn your box around and we'll pay attention to the top. 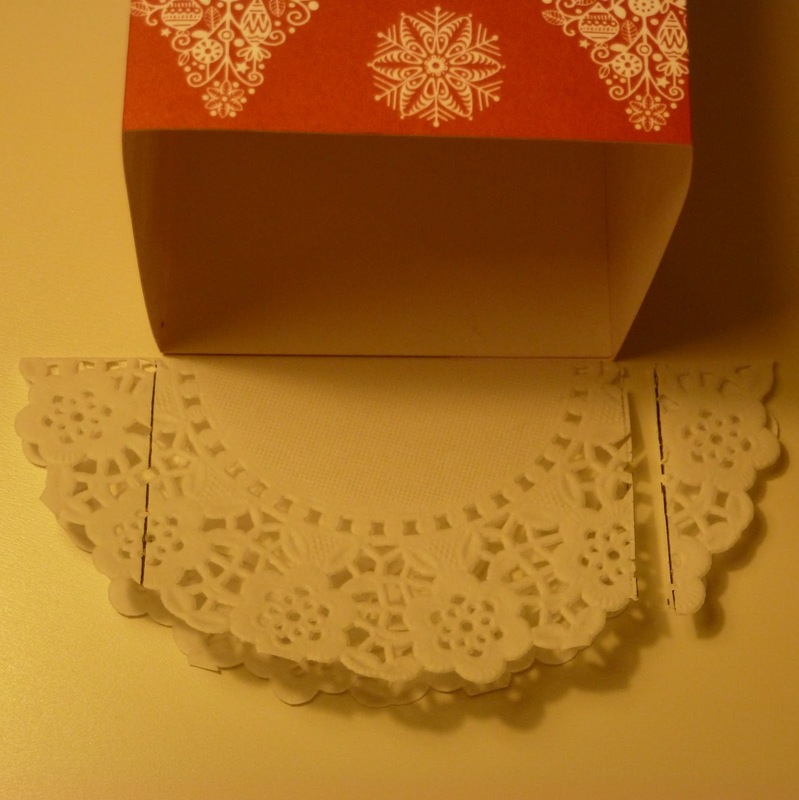 Take a small doily (or other circle of paper) and mark lines where you want to cut so it isn't wider than the edge of the bag then cut the edges off. The picture below probably explains that easier! 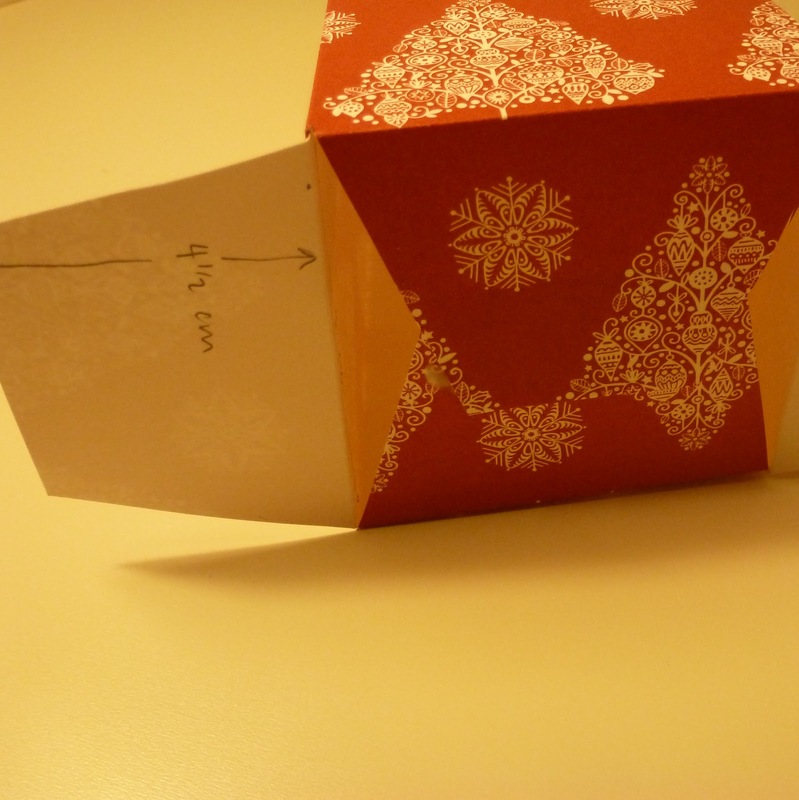 Press the edges of the top of the box inwards (like on a milk carton) and punch two holes in the top. 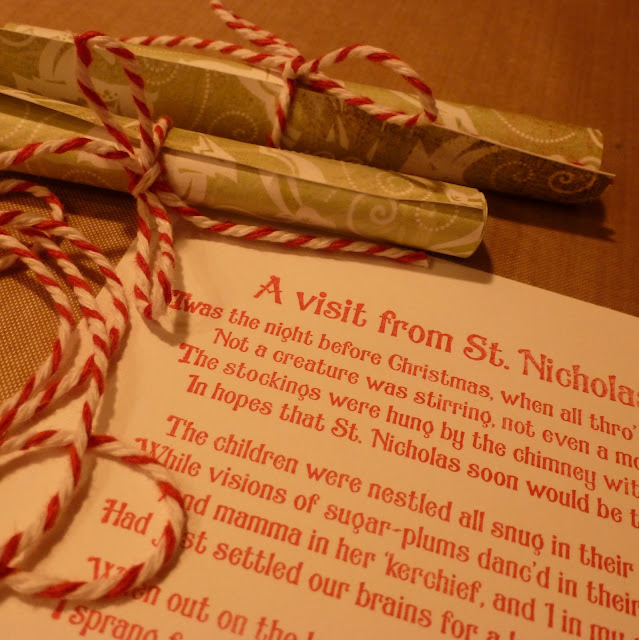 Thread through some christmassy ribbon and tie in a bow. 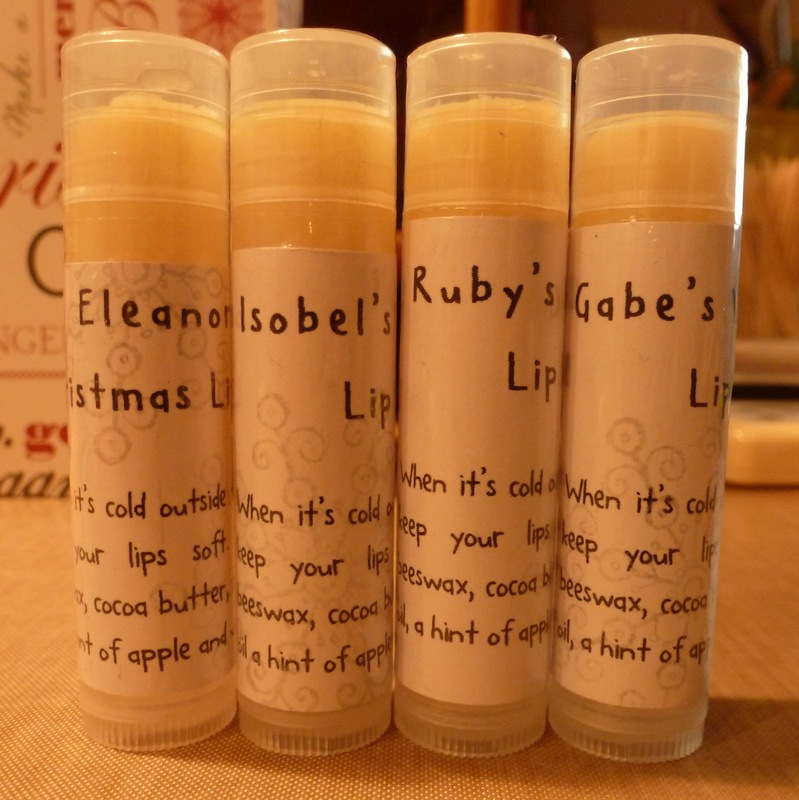 Other itty bitty's to add might include home made lip balms personalised with a printed label for each recipient. I have been looking for a way to use a gorgeous new stamp I got recently from the inspirational Waltzing Mouse stamps. It has several verses of the "Twas the night before Christmas" poem so I stamped it onto the reverse white side of a pretty, festive paper and rolled it into a scroll tied with red twine. 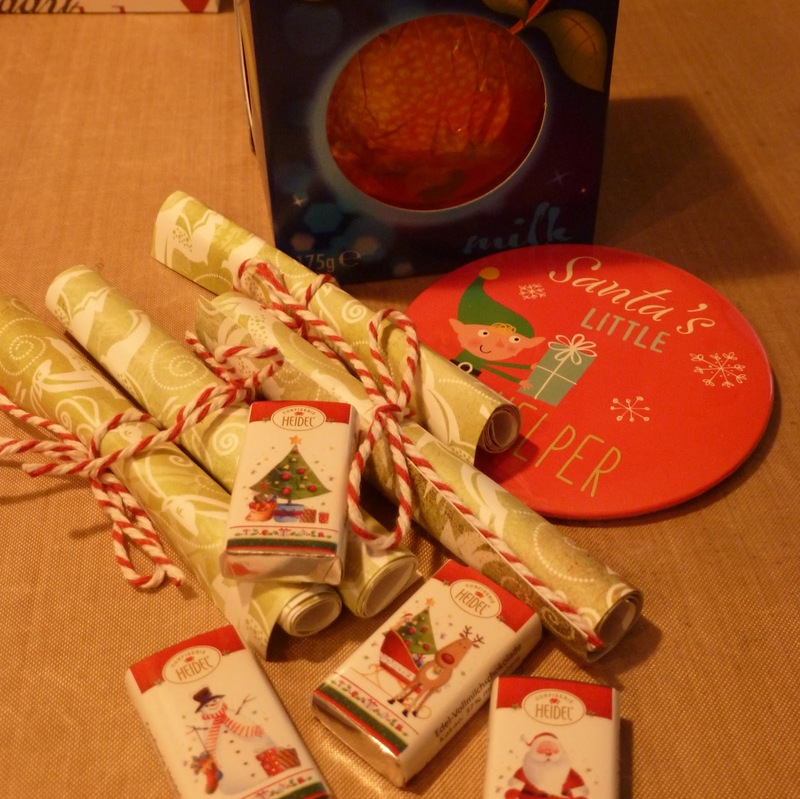 A high street store was selling good fun, huge badges, so one of those went into each bag too along with some miniature sweets with snowmen and reindeers on them. Sooo gorjuss! And finally, the bags, all filled and made up ready for distribution.